Thank you for your really, really nice comments about my embroidery. I appreciate your kind words a lot. 1. A wander into town this morning for nothing in particular; a newspaper, bread, flowers, plums from the greengrocer. Those purchases that are really small but very satisfying, for they contain the ingredients for a relaxed weekend. 2. Victoria plums. They will be tomorrow's crumble. 3. Cyclamens, inside and out. Everything in our garden appears to be dead, apart from the weeds. Our garden's been a bit of a disappointment this year, to be honest. I could never seem to sum up the necessary energy at the right time. Re-potting the pots by the front door always cheers me and makes me feel better about the mess in the back garden. And I like a bit of cheer inside the house, too. 4. Small boys on scooters and big parks. We had a relaxed day on Wednesday at Roundhay Park, always a favourite. After a walk around the lake we sat outside the cafe and drank hot chocolate. I thought this meadow area they'd planted was beautiful. Do you think if I just threw a load of seeds all over my garden something similar could be achieved? Today we have done very little. Bella had a birthday party to attend. Angus and I baked a chocolate cake, his choice. John is cooking chilli for dinner later. I might have a beer soon. We are gearing up for the return to school next Tuesday. Uniform and school shoes have been bought, labels need attaching. I feel quite mentally and physically tired, actually. The house is a complete tip, only the most essential of housework is being achieved as I can hardly move for the toys. Every. Single. Piece. of playmobil is out. I've just left it all there, occasionally making a path through it as necessary. I'm looking forward to some domestic busyness in an empty house next week, the opportunity to get some jobs done. I love the long summer holiday, but I love it when it comes to an end too. My holiday diary, my drawing with stitches, is back from the framers! I have no idea where we'll hang it, but I'm happy just to have it propped on the mantelpiece and enjoy looking at it for now. I thought I'd show you how the project started, and then how it took shape over the holiday. 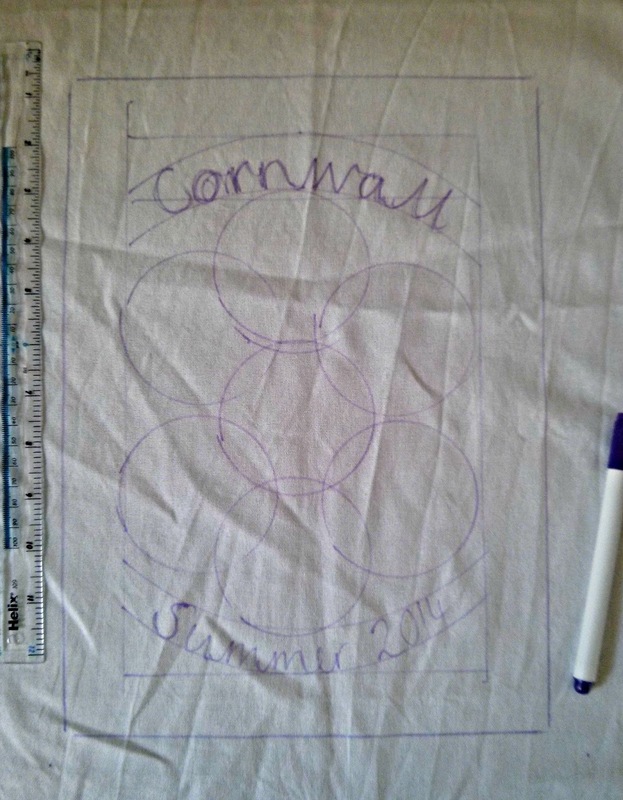 It began when, having seen Jennie Maizels' holiday diary on Instagram, I thought I'd like to try one of my own, but I'd draw with thread rather than pens or pencils. It was all very last minute and spontaneous, and I didn't plan it much beyond selecting a piece of good quality white linen and working out that I'd want to draw an image per day, so seven in total. After sketching the text, I drew around a glass seven times to give me areas in which I'd put my pictures, mainly so that it wasn't all wonky. This is a really terrible photo, I am sorry. I took it on my phone as my big camera must've been packed. So, armed with my piece of fabric and bag of embroidery threads, I was ready to start. I never knew what I was going to sew until the end of each day and in the evening I'd choose my image and draw it freehand onto the piece of white fabric with a fading ink pen*. It took shape slowly throughout the week. I've put together some collages below, showing the original inspiration in a photo, then the snap I took during week of the work in progress, and the final image on the right is the finished work. Day 1: Our holiday home, rented for the week. It had such a symmetrical, pleasing shape, like a child's drawing of what a house should look like. Ok, my version is a little off, but I know what it represents and that's the main thing. Day 2: Our day in St Ives (and a browse around the Poppy Treffry shop) inspired this fishing boat. Day 3: A cream tea at Kynance Cove. I was relieved to note afterwards that I had drawn my cream tea the "right" way, ie the Cornish way, with jam first and cream second. In Devon it's the other way round, I believe. The tea didn't come in Cornishware mugs, sadly, but I felt there was room for some of that classic crockery in my picture. Day 4: Godrevy Lighthouse. How I loved doing all those little French knots for the grass, rocks and sea. They made me very happy. Day 5: That really cheeky, tame seagull which stalked our fish and chips on the beach at Marazion. That was the only image I didn't draw free hand - I sketched it onto paper first then traced it. I'm not very good at animals or birds. Day 6: A sandcastle, to represent our happy times at Gwithian beach. The little Cornish flag on top was an extra detail of mine. It seemed appropriate. The cross stiched flag could be neater, but that is my own fault for doing it in electric light, rather than waiting until the next day. I find I have no problem embroidering in electric light unless it's cross stitch and for that, I need daylight or I make mistakes. Day 7: An ice cream, eaten at Penzance on our last day. Honestly, we ate ice creams every day, some from tubs and some from cones. Salted caramel quickly became my favourite flavour but they were all very, very good indeed. and the French knots around the light house. 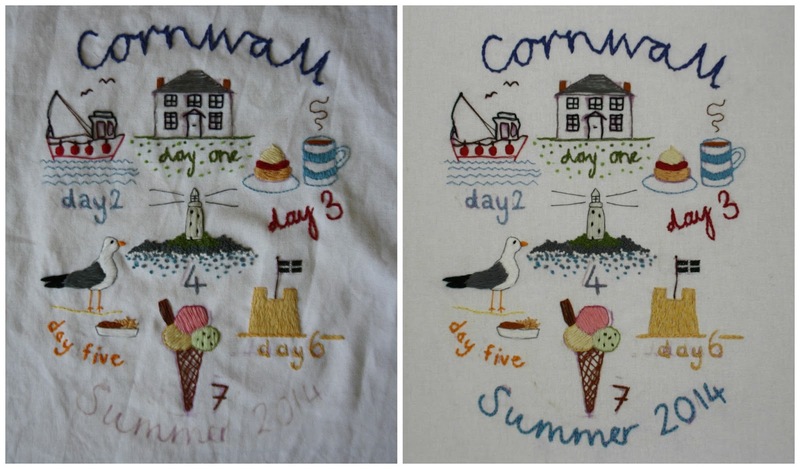 I had in the back of my mind throughout this project the memory of these tea towels my Grandma used to collect and bring back from her holidays. They used to say things like "Wild Flowers of Jersey" or "Birds of Great Britain", that sort of thing. Informative and useful. Some would have a recipe for something like a scone on them. Something about my holiday project reminds me of the vintage design of those tea towels. I'm really happy with how it turned out. No, I'm delighted. Every time I look at it I remember a different day, a different part of our holiday. It's nice, during this cold, wet, abrupt end to summer, to remember sun kissed afternoons on the beach and how deep-down happy the sound of seagulls makes me. *I used one similar to this. You can also buy pens which fade when ironed, but I don't like ironing too much on the embroidered parts of fabric in case it flattens the stitches. Many, many thanks for all your suggestions and recommendations on apps following my last post. Just brilliant, all of them, and I've had a lot of fun exploring them this week. Someone suggested a follow up post on the apps I've been using but I don't want to make this an exclusive, iPad-only thing, and I know that most of us are using our good old laptops, PCs and other tablets, so I'm undecided about that yet. 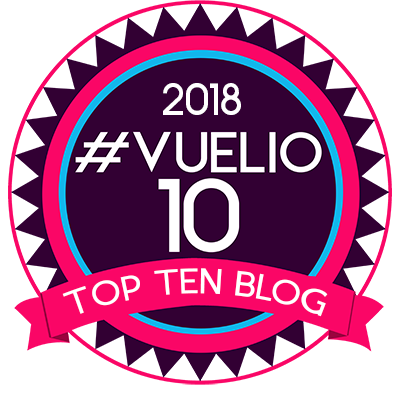 A couple of you nicely pointed out that I'd forgotten to mention one MAJOR source of inspiration and that is, of course, blogs. And it's true. 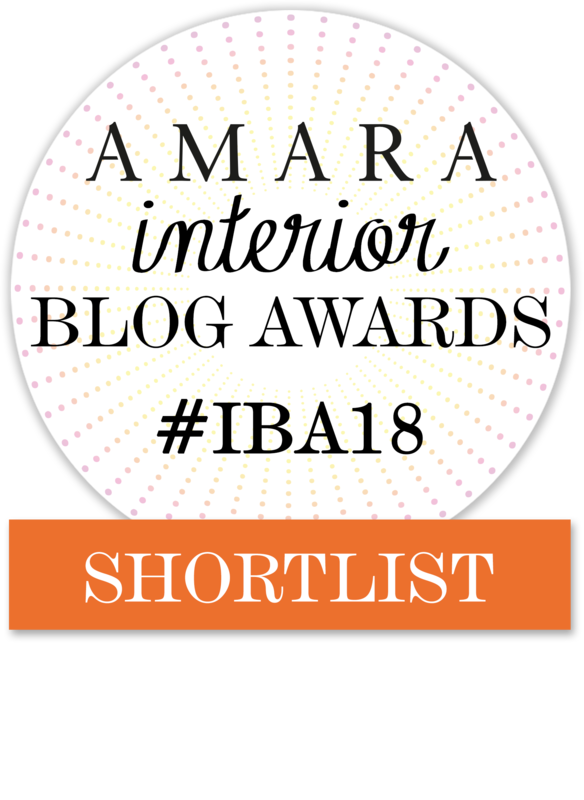 I can only think that the little time I've had to read blogs this summer holiday made me forget that but I mustn't, as I honestly do find blogs to be one of my biggest sources of inspiration and not just for craft, but for cooking, decorating, days out, ideas, all sorts of things really. 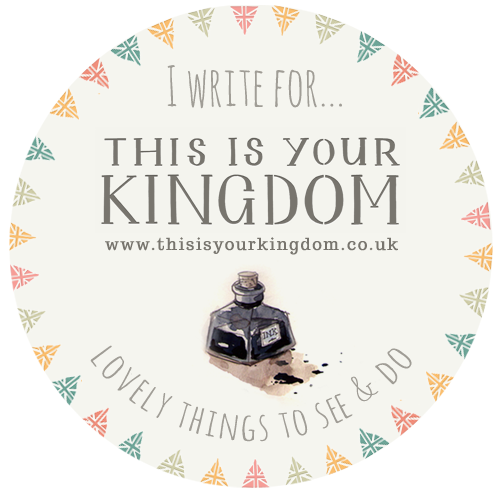 Onto my weekly round-up of happy things. : : We've enjoyed some really pleasant walks lately, taking in the change in seasons and the slow move into autumn. Although it if it could slow down a bit that would be nice. I like autumn, but not in August. Brrr. And there's nothing like a big pile of logs to make you feel that Winter Is Coming, but in a comforting homemade-soup-and-knitted-socks kind of way, not in a Game of Thrones kind of way. : : A glance back over another week of the school holidays reveals lots of opportunities for small happinesses from people of all ages. Day trips, boat trips, trains, museums - we've covered most of the modes of transport this summer holiday, apart from flying. 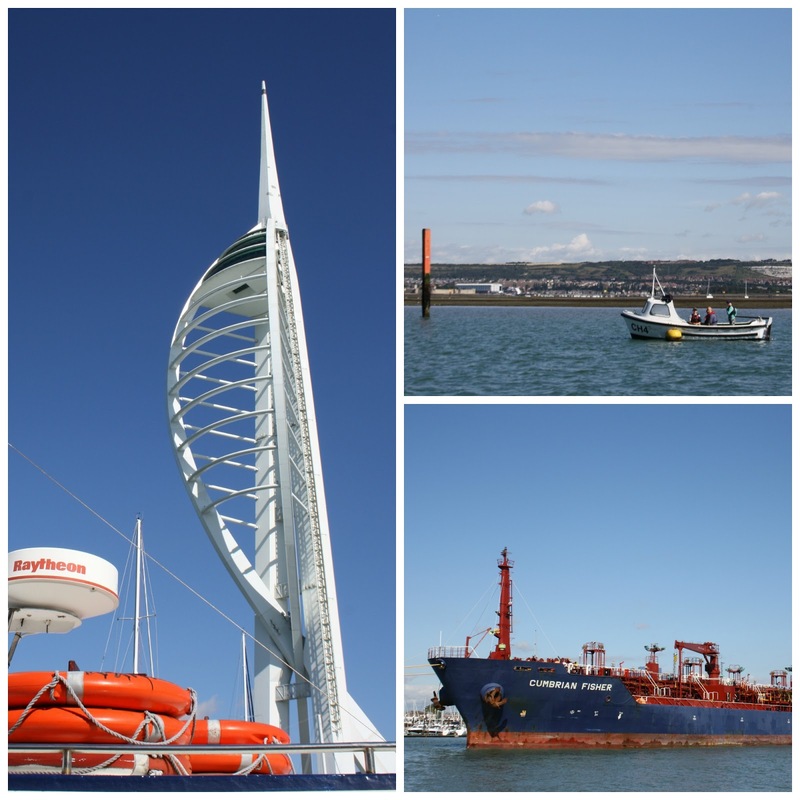 A boat trip around Portsmouth Harbour to Gunwharf in the early morning sun last Saturday was memorable. I like boats and being on the water. I also like shopping and lunch out, so it's win-win, frankly. :: Garlic mushrooms on toast. I just really fancied it and it was lush. But this was a pleasure to buy (from this lovely shop in York), and I love the name and the packaging - it pleases me greatly when packaging is nice - and best of all it smells delicious. And while I don't like instant coffee much, I do love to break the foil seal on a new jar of, say, hot chocolate or nutella, and peel it off round the edges really carefully. That makes me happy too. Hello! I hope you are all well. The summer holidays trundle along here and, in between travelling, holidays and staying with family, I have been working on various crafty endeavours. Currently, I have three ongoing creative projects, three WIPs, or Works In Progress. That's not too bad, is it? One crocheted, one embroidered and one appliqued. First there is my crocheted blanket. I started this almost a year ago to the day. It's a slow burner, this one. I'm learning that it's all about the process, as much as the outcome. I don't see how you can rush a blanket this size. I couldn't anyway, I'd pass out. So far, I've done about 70% of the squares I need, and then of course they all need to be joined and a border added. I'd really like to complete this project this winter. It will take extraordinary focus on my part, but I'm going to try! Then we have my summer embroidery, the last quarter in my seasonal collection. 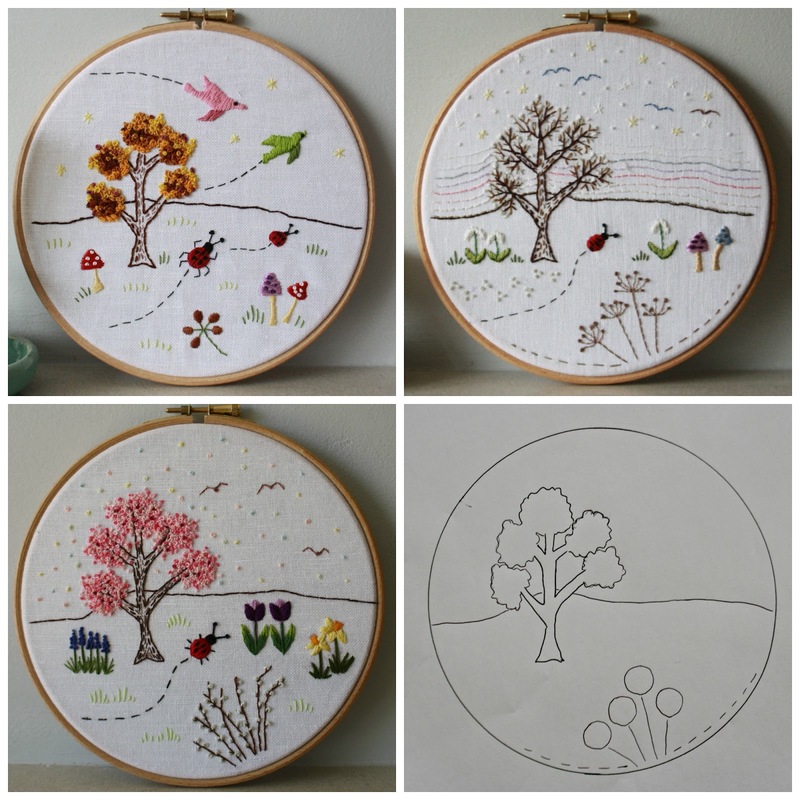 (You can read about my Autumn, Winter and Spring embroideries here if you like.) I've sketched the outline of the tree, the hill and some allium heads onto paper and I'll trace these onto the fabric with a fading pen so that they are all roughly in the right place. The rest I will draw freehand onto the white linen when I've decided what I want to include. And finally my wall hanging. Like the embroidery, this should be a quick-ish project, completed within the next month (I hope!). 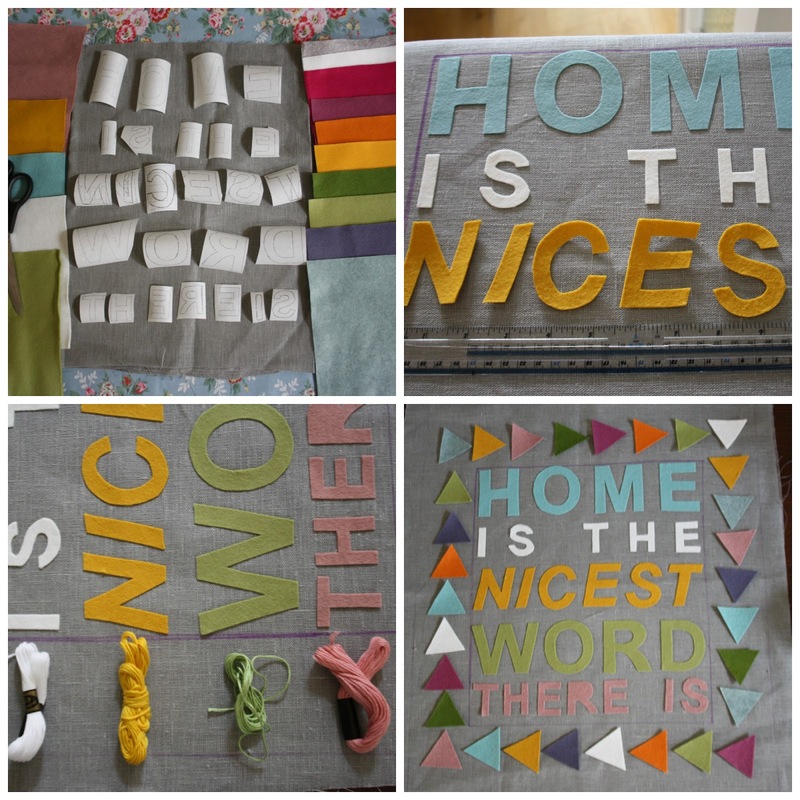 I am currently stitching around each letter, a tedious task but one which needs to be done properly. So that's my actual, real WIPs. But there there are the other WIPs, that long list of "one day" projects that lives in my head. Do you have one of those too? A list I think about when I fall asleep. Like the quilt I want to make with all my scraps of fabric. I'm not sure yet if it will be hexies or triangles, but I've begun a Pinterest board for it, so that's practically starting a project, isn't it? And there's that soft, indulgent, cashmerino ripple blanket I'll make one day in greys, pinks and creams, like a Missoni-inspired hug. And the fun, appliqued set of family portraits framed in oval embroidery hoops that I want to make sometime. A modern, slightly daft take on such a Victorian idea, which I found in this great book. So, I thought I would share some of the most useful online tools for crafting that I have come across. Some are obvious, some new to me. And I'm hoping that you'll join in and share your favourites too. Word - Yes, everyday Word. A brilliant resource (that most of us have on our laptops or PCs) which I use when I need lettering that is neat, consistent, and in a certain style. For my wall hanging, above, I chose Ariel and typed my phrase into a new document, playing around with size and italics until I was happy. Then I simply traced it from the screen onto a blank sheet of white A4 paper. But, with applique, everything has to be in reverse, so I had to hold the paper up to a window and trace the reverse of each letter - a light box would have made this so much easier - so that it was all the right way round at the end. I suspect there is an app that can reverse text for me. I hope so anyway! Google Images is brilliant for just simply providing a vast number of images to look at (but not copy - many are protected by copyright) from a variety of sources, and this can be incredibly useful and informative. For my seasonal embroideries I often just want a really good, clear picture of, say, a daffodil or seed head, but I don't want to be overly influenced by any one photo or illustration. I just like to look at twenty different pictures and then build a really solid mental picture in my head, which I then sketch freehand onto either onto paper or the fabric. Mollie Makes - Even without buying the magazine, there are free patterns and a wealth of ideas and inspiration to be had on their website. Pinterest - It doesn't really need that much of an introduction since it's so widely used, but it's simply an online noticeboard, a fantastic way to collect and organise ideas and inspiration. PicMonkey - A fantastic online photo editing website. Most of their features are free, although you can upgrade to access a wider range of ediitng functions. These are the ones I consider to be the necessities: Pinterest, Etsy, Ebay, Facebook, iPlayer, 4oD and Instagram. You know, the things you need to function in modern life. And then there are the fun ones for playing around: Paint My Place for fun with paint colours and decorating, Simply Crochet's Granny Square A Week app, a fun way to broaden your crochet skill base, and Martha Stewart's Craft Studio. I suspect that whatever your hobby - baking, photography, scrapbooking, knitting, paper craft, sewing - there are many apps to choose from. I know there are many, many more out there. And the other fun thing I've discovered - magazine reading! On a screen, and at a fraction of the cost of the paper copy. Mollies Makes, Frankie, The Simple Things, Kinfolk... I'm not sure if this will replace the simple joy of leafing through a real magazine for me, but there is a lot of interesting stuff out there waiting to be discovered. So, experienced iPad users, please tell me which apps you'd recommend the most highly. For crafting, or cooking, or anything really. I'd love to know which are your favourites. Time has been my greatest source of happiness this week. Freedom from clock watching and rushing, the opportunity to pause and be in the moment. :: Time to indulge in some cloud watching. 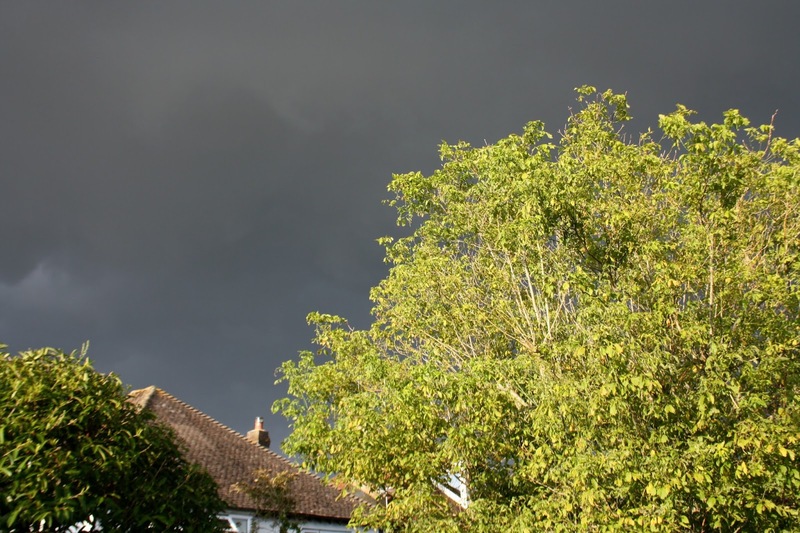 We've had some dramatic, stormy skies this week, with heavy bursts of rain and lots of bright sun. These conditions make for good clouds. :: Time to enjoy a beautiful, leisurely walk in a favourite spot on the South coast with my mum and the children, to watch the clouds and linger behind, taking photos. 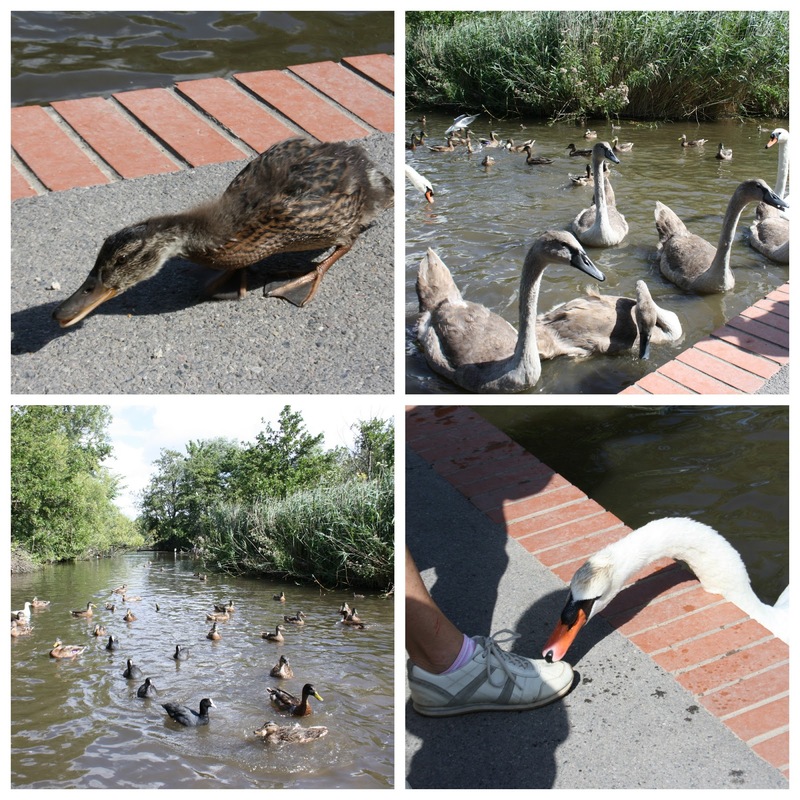 :: Time to dawdle over feeding the ducks, to coo over tame ducklings waddling around and enjoy the children's merriment when a slightly too tame swan tried to eat my mum's toe. Things like that are hysterically funny when you're five and seven. The ducks and swans were keen, which is always gratifying. There is nothing more dispiriting than taking the kids to feed the ducks only to be met by indifferent birds who swim away, bored by bread. :: Time in the kitchen with Mum, who showed me her new scone recipe. She says she think's it is *whisper* better than Delia's. The scones, covered in bramble jelly and clotted cream were light, still warm from the oven, and utterly delicious. :: Time to sit down with the kids and help them finish their holiday pictures. They are ready to hang now. This one below is Angus's. He drew all the pictures onto the fabric with my "magic" pen, and I stitched over them. I like the sun best. All children seem to draw the sun in exactly the same way. And here is Bella's. She drew the picture herself and, bless her, every single stitch is her own. She can tie off the thread really well now, and proudly told my mum the three stitches she's learnt (satin stitch, back stitch and running stitch). You can see that Bella's picture was heavily influenced by what she saw me sewing on holiday, and that Angus has basically copied Bella, but I love these hoops all the same. Their holiday memories, captured in thread, are very precious to me indeed. I thought I detected the slightest shift in the seasons yesterday, while we were out walking. The breeze was cool and the light softer than it was a couple of months ago. The blackberries are early and plentiful this year, and we picked enough to add to strawberries, redcurrants and blackcurrants to make a Summer Pudding. The leaves are losing their vivid depth of green and taking on a slightly faded, tired look, as thought all the colours have been turned down a notch. I realised with a bit of a jolt that high summer has slowly become late summer, without me really noticing, and autumn is not that far around the corner.